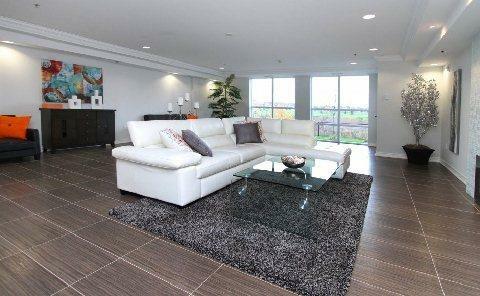 Ambassador are low rise condominiums built by Valery Homes and they are located at 1419 Costigan Road and 1421 Costigan Road in Milton. They offer wide selection of one bedroom and two bedroom suites. One bedroom suites are up to 800 sq.ft in size and two bedroom suites are up to 1300 sq.ft in size (for floor plans please contact me directly). Top floor suites have 10' ceilings. Suites come with underground or surface parking(s) and lockers. Ambassador condominiums amenities include: private room,amenity room,lounge and exercise room. There are parks and Bruce Trail Public School walking distance from the condominiums. Highway 401 is just few minutes from the condominiums. 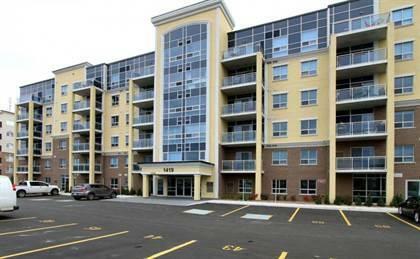 Condo fees do not include hydro,gas and hot water tank rental. Exceptionally Designed • Brick, stucco and glass exterior. • Elegant, architecturally pre-select exterior streetscape.• Luxurious and professionally decorated lobby and corridors.• Mailboxes located off lobby.• Finely appointed elevator accessing all floors.• Naturally ventilated and well lit, painted and illuminated underground parking level, each unit having its own designated exclusive use parking space complete with remote control entry.• Quality construction complete with concrete walls and drywall used in party walls, along with Coreslab floor construction.• Energy saving exterior wall construction.• Maintenance-free thermo pane windows throughout. Impressive Intitial Impact • Upgraded outdoor lighting.• Extensive naturalized acreage/amenity green space and landscaped entry features enhances “The Ambassador’s” overall integrity and theme.• Snow removal to all sidewalks, entrance & parking area’s to the road. Purpose Plus Panache • Quality double stainless steel sink in kitchen with single lever washerless faucets.• All bathrooms to have single lever washerless faucets and china type basins. (All bathroom fixtures to be white i.e. : toilets, sinks, tubs etc. )• Water pressure balance valves in all tub/shower enclosures. all owners.• Individually controlled and environmentally friendly central heating and cooling system in every unit. Plug and Play With Peace of Mind • Each unit comes complete with it’s own circuit panel.• Heavy duty electrical hook-ups are provided for the stove and dryer.• Electrical outlet layouts are as per ESA specifications.• Smoke detector and carbon monoxide detector provided/installed to government standard (ULC) approval. • Pre-wired for phone and cable.• Rough-in for future dishwasher.• Vent sleeve installed for dryer.• All bathrooms are individually switched & exhausted to exterior.